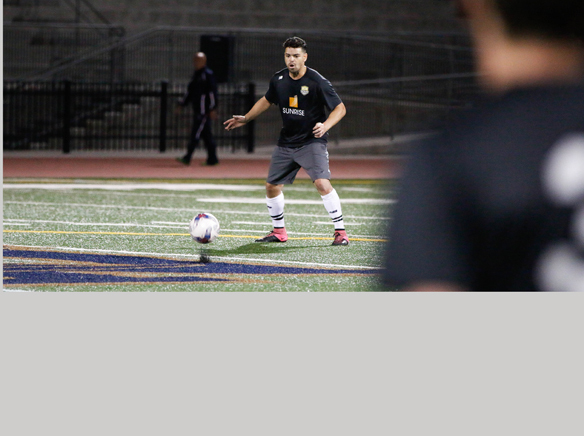 Two East County residents are continuing their dream of becoming U.S. professional soccer players by playing for the newly minted adult North County Battalion semi-pro soccer team. Sean Ritchey, 23, a Grossmont High School grad living in La Mesa and Justin Picou, 25, a Helix High alum who grew up in Lemon Grove, have both hitched their immediate fortunes to NC Battalion’s wagon. The Battalion is an adult soccer club in North County, which was launched in 2015 joining a network of 80 soccer clubs that are members of the National Premier Soccer League (NPSL) division of United States soccer. The North County team in Carlsbad plays its home games at Del Norte High School in the Poway Unified School District. Now age 25, Picou’s been playing soccer since age 5. Picou said soccer, which “came naturally” for him, is physically demanding. “Soccer players are the fittest of any sport,” he said, noting front-line soccer players run four-to-seven miles in the course of a typical game. Ritchey believes soccer is on the rise, both nationwide and in San Diego. And he hopes to catch a wave on the sport’s cresting popularity. Picou concurred there’s nowhere for soccer to go but up in the Unites States. More information about the NC Battalion can be found at www.NCBattalion.com or by following the club on Twitter (@NCBattalion), Instagram (@NCBattalion), and Facebook (www.facebook.com/northcountybattalion).